Headup Games has announced Brainseed Factory's elegantly crafted platform game, Typoman, will be released on the Wii U eShop in both Europe and North America on 19th November. The Wii U exclusive will be priced at € 13.99 (USD 13.99, GBP 9.99), with individuals who participated in the E3 [email protected] program in June eligible to receive a 15% discount on the full version of the game when it is made available on the Wii U eShop. In celebration of the title's launch date announcement, the soundtrack album has been released today. 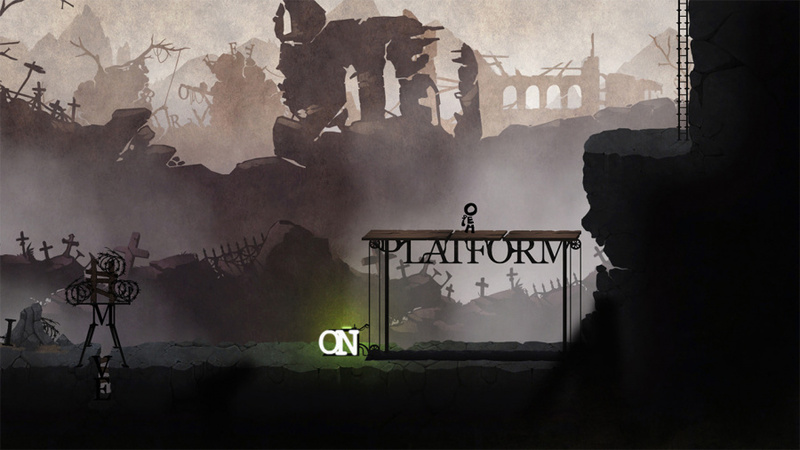 The composers and sound designers at SoundPicnic who are responsible for the music and sound in Typoman have attempted to capture both despair and hope in their soundtrack. If you would like to listen to the title's soundtrack, you can do so via Bandcamp. 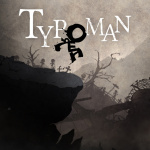 Take a look at the official trailer for Typoman on the Wii U below, and let us know in the comments if you would be interested in downloading it on release. Just a heads up: The link to the bandcamp page is broken, and the URL is currently a subdomain of the NL site. I'm interested, would like some more details though. It's Word World in game form! $11 roughly with discount? I'm all in. For once, a title that won't be localized in Italian (for obvious reasons) I'm perfectly fine with. Which reminds me of The Simpsons' couch gag made of words. The preview was fun but I couldn't work out how to get past a certain spot. Might've been the big spider. I suppose that getting stuck is the point of the game. I loved the demo! Especially word man getting beheaded. Will be getting this on the 19th. This game is quality really looking for too playing the full game. Alright! Looking forward to it! Hadn't heard of this one before the direct. As a lover of indie games and words, I may have to pick this one up. @earthboundlink I guess you missed the E3 [email protected] demos? I still have them installed and they're working. This and Runbow were the best games from those in my opinion. Will definitely get it when it's released! This looks really great, cant wait !